This is a very nice pillow. Heavy and firm but comphy. Other comparable pillows elsewhere cost a lot more. Nice, soft fabric. I would highly recommend this item. 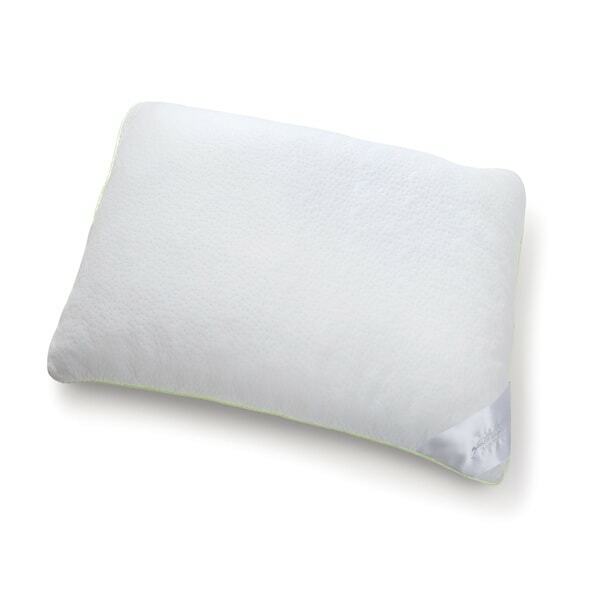 Rest your head on the Serene Cloud Cluster memory foam pillow. Made with memory foam clusters encased in a lush double-knit dot polyester cover, this pillow provides dreamy comfort. This pillow features soft cushion fill that responds to your body's weight and warmth so you don't spend the night tossing and turning. A removable zippered cover makes maintenance a breeze, simply remove and toss in the washing machine to freshen up.